Duke Miller was a square dance caller (and a wrestling coach) in Gloversville, NY, and later became a popular caller for summertime dances in the Monadnock region of southwestern New Hampshire. His regular dances in Peterborough and Fitzwilliam lasted more than 25 years. 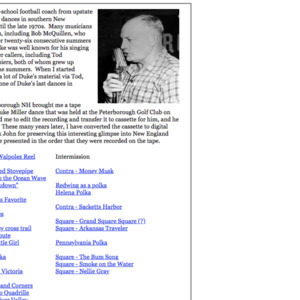 This site features a live recording made by John Derby on August 20, 1965. 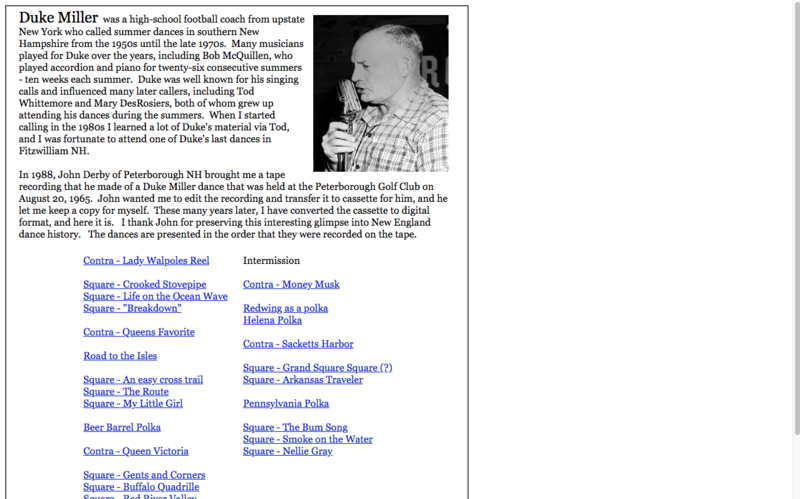 Walter Lenk, “Duke Miller website,” Square Dance History Project, accessed April 26, 2019, http://squaredancehistory.org/items/show/388.